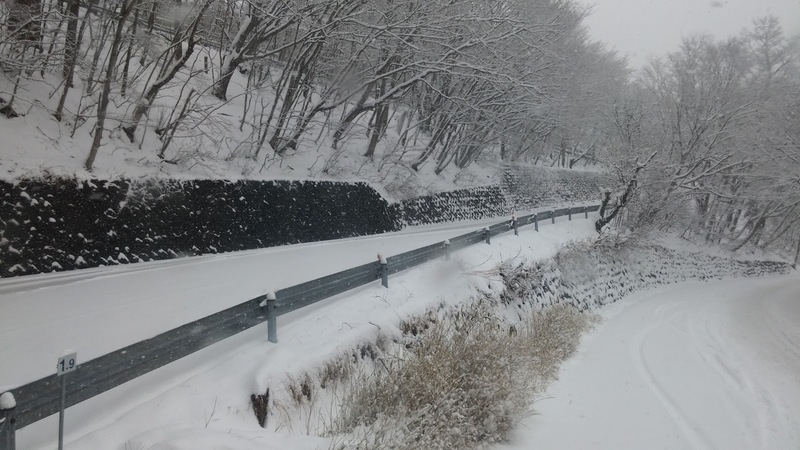 This morning we awoke in our futons in Itaya Ryokan in the middle of the snowy Nikko mountainside. The provided breakfast was plentiful and delicious. The food was similar to other ryokan breakfasts and featured a variety of small plates including fresh strawberries, rice and salmon. Our agenda today was a tour of the natural assets of Nikko before hopping on a train north to the city of Koriyama in Fukushima prefecture. As the snow was pretty heavy outside we decided to skip Yudaki Waterfall and instead head for Ryuzu Waterfall. 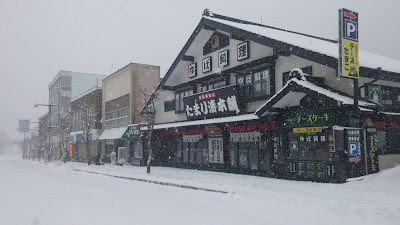 Although it’s possible and apparently quite enjoyable to snowshoe we also gave Senjogahara marsh a miss due to the preposterous amount of snow. We also didn't have a car as we didn't want to risk driving so instead caught the bus to the various sights. Ryuzu means dragon head and is so named as apparently the waterfall resembles the head of a dragon. Or maybe it’s just known as Ryuzu and that story was made up later. A few steps from the bus stop there's a small shop in front of the waterfall viewing area. I'm not sure if it was or was not open though due to the weather. We were actually a bit unsure about the views during winter, especially with all the snow but Ryuzu Waterfall was actually very scenic and we spent quite some time here. Admittedly, partly to admire the waterfall but mostly because the next bus took ages to arrive. A few minutes before it was due to arrive we went and stood out on the road to wait but the bus didn't show up until about 15 minutes after the scheduled time. It was actually a bit worrying because we were the only people around, it was snowing quite heavily and we were gradually turning into snow men. Next up was Kegon Waterfall which is within the Chuzenjiko town area and we alighted at the bus terminal, which had a waiting room! After warming up we made our way down to Kegon Waterfall, which was a short walk down the road. Kegon is the most famous of Nikko's waterfall and is ranked as one of Japan's three most beautiful. The falls are nearly 100 metres tall and form the outflow of the nearby lake Chuzenji. Although it's possible to view the falls for free from above the best views are from below, though the cost is relatively expensive at 550 yen. 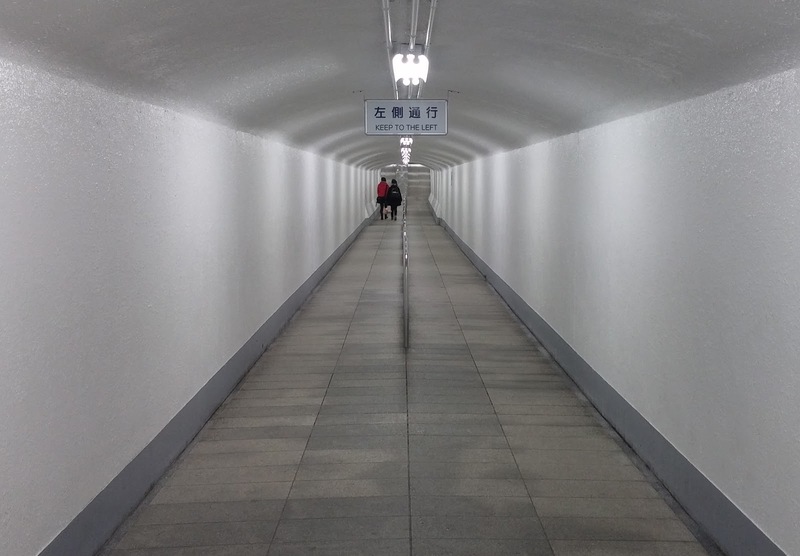 We dutifully paid and caught an elevator down, which was surprisingly followed by a tunnel. Although it was hard to get a good photo as it was still snowing quite a bit, the falls were impressive to see in real life. In fact they were very nearly frozen solid which was quite a sight to see! 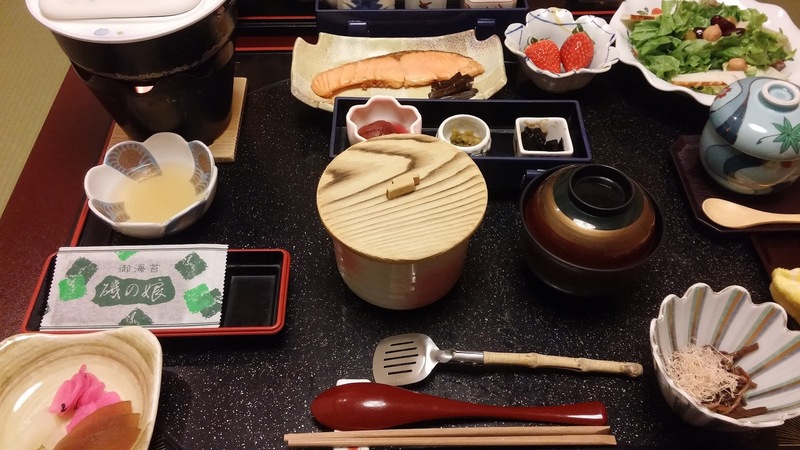 Next on the menu was some Suiton, which Kate enjoyed at a nearby eatery. Suiton is a hearty soup featuring dumplings, chicken and vegetables, and is a traditional in the Gunma prefecture of Japan, which is nearby. 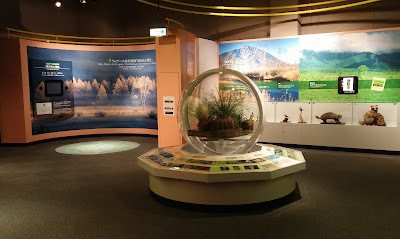 We had a little bit of time before the next bus, so we decided to check out the Nikko Natural Science Museum . It was also nice as it was indoors! Inside the museum we learnt about the various views that can be enjoyed during the different seasons as well as what beasties and plants inhabit the area. 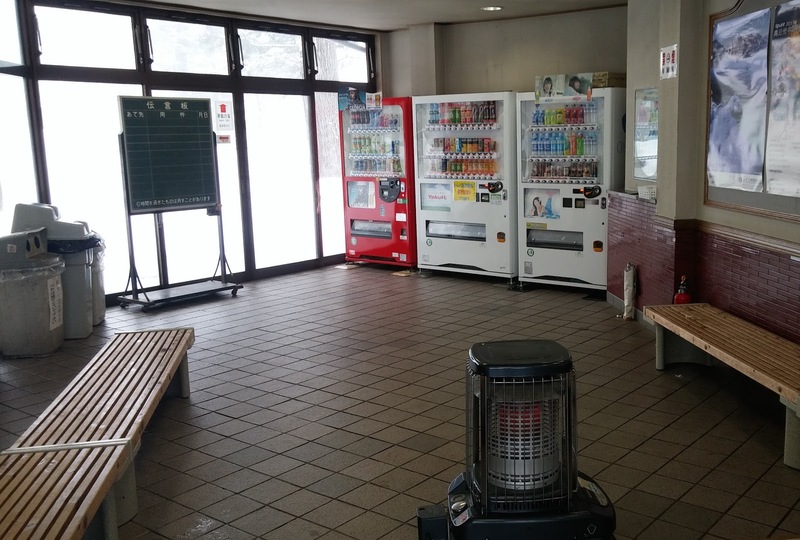 The next bus took us back down the windy Irohazaka road and all the way to Nikko Station from which we caught a local train to Utsunomiya, followed by a relatively quick zip north to Koriyama on the shinkansen. Dinner there was probably not the healthiest as it largely featured a delicious banana crepe, at least for me! Tomorrow we'll be travelling west to visit the town of Aizu Wakamatsu; famous for castles and sake brewing! Must of been so cold in the snow. It looks very pretty.